iMoogi Radio plays today's hits, yesterday's favorites & mixes it with the best up-coming INDIE ARTISTS & unique talk shows & theatre in the dark. 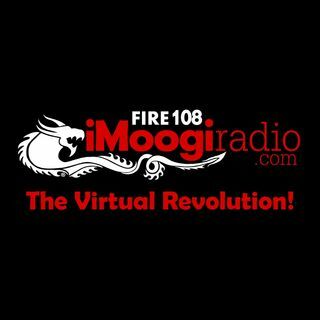 iMoogi Radio is all about the Indie Artists and the amazing music they create! In the stage play by Judith Sapperstein & Gary Murway, Maxine's husband passes away leaving her with his brand new Peterbilt Rig and all the payments, so -- she and her sister Charlotte set out on his route in order to make the payments. In this delightful series that follows the play, Max & Charlotte's adventures ... See More continue and "on the road" will never be the same again! Nothing Formal is a radio talk show hosted by musician, Gary Murway. Gary has been in and around the music business for a very long time and has gotten to know quite a lot of interesting personalities over the years. In this exclusive series, he will interview some of these people and hopefully delight and amaze you ... be prepared, ... See More anything can happen because, this is ... NOTHING FORMAL! Ruth K. Brown is an internationally acclaimed theatre director with a lot of connections in the world of theatre whose stories are worth sharing. Join Ruth as she interviews experienced actors, directors, producers and other theatre professionals. You never know what you may discover! In the play, "Friends in High Places" by playwrights Judith Sapperstein & Gary Murway, aliens land on the mall in Washington DC. They have a problem and need our help but meet first, our very corrupt president, President Arnot Thinkinear and his equally corrupt advisor. These aliens have some VERY odd customs and the ... See More antics that ensue between them and our government are quite hilarious. After the play ends is where this series picks up. The aliens from the planet "Quirdmut" have invited a delegation from Earth to visit their home planet. And so our stalwart news anchors from YMI News hop a space ship with Senators Les Manly and Mona Lott, and take a little trip. We hope you enjoy the fun as we meet new characters, Buffy Lighthead, Isha Shamie and more.